We are Round Top's best kept secret! 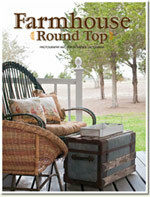 Farmhouse Round Top is conveniently situated to Houston, Austin, San Antonio, Dallas, Ft. Worth, and all points in between. Come spend a day, a weekend, or longer! Choose from one of four (4) beautiful guest houses, all of which are gently-restored 19th century homes or one of three (3) beautifully renovated cottages, just 1/3 mile away on a quiet road. Each has its own individual style and unique architecture, while furnished and appointed with modern comforts and amenities. Because we can accommodate from 1-25 guests between the 2 properties, Farmhouse Round Top is ideal for a couple wishing a quiet get-away or larger groups of wedding parties, family reunions, or groups of friends. Whether alone or in a group, you can experience a sky full of stars (we are a dark skies area), birds and wildlife, and/or all the fun available in surrounding small towns such as Round Top, Fayetteville, Brenham, and LaGrange, each within a 8-20 minute scenic drive. Visit and enjoy so many things such as art galleries, concerts, museum tours, shopping, and wine tastings and much more! So come spend time with us! We would love for you to be our guest at Farmhouse Round Top!. 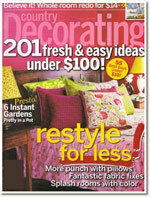 Read about us in Country Decorating and Texas LIVE!